Rawalpindi, 20 March, 2018: Air Chief Marshal Mujahid Anwar Khan, Chief of Air Staff (CAS) visited GHQ and called on Chief of Army Staff (COAS) General Qamar Javed Bajwa today. Matters of professional interest were discussed. 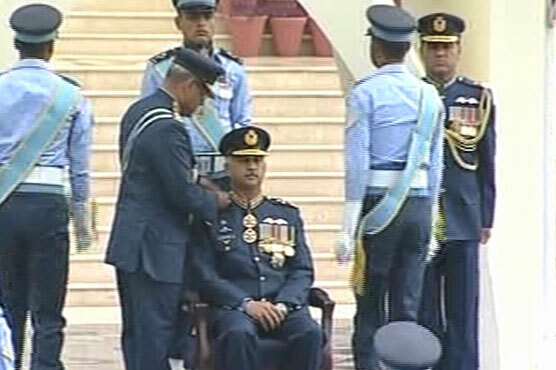 COAS congratulated Air Chief Marshal Mujahid Anwar on assumption of command of Pakistan Air Force.